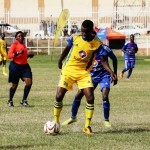 Kampala Capital City Authority, Uganda’s flag bearers, at the ongoing CECAFA Clubs championship (Kagame Cup) have qualified for the semifinals of the annual tourney at the expense of Al Ahly Shendi in a match played at the National Stadium in Dar es Salaam on Wednesday under scorching sunny conditions. 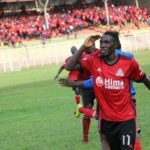 Joseph Ochaya, Tom Matisko and Muzamiru Mutyaba scored for the 1987 CECAFA champions, with left winger, Ochaya giving the Ugandan side the lead on 16 minutes for a 1-0 goal command by half time break. Fifteen minutes into the second half KCC won a penalty after skipper Tom Matisko was fouled and Mutyaba perfectly converted to double the lead. Masiko made it 3-0, slotting home after good work inside the area from Ochaya. 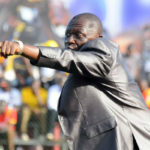 KCCA FC will now face Azam Football Club on Friday in a repeat of the group stage fixture where the Tanzanian giants won 1-0. Azam F.C beat Yanga in the semifinals following a 5-4 post match penalty shootout that followed a barren draw in normal time.